2017 is coming to a close and a new year is right around the corner. This time of year is great for thinking ahead and setting goals for 2018. This post is the second of three on chiropractic marketing trends to watch for in 2018. To read the first post on blogging, click here. Social media marketing has been on these “trends to watch” posts for a long time now. The key to social media marketing for chiropractors is integrating it into your marketing plan in unique ways that are both engaging for prospective patients and sustainable for you and your practice. The trend this year is sharing your practice’s story on social media to engage with prospective patients in an authentic way. What story is your practice telling online? How do you stand out in your market? Are you being open and authentic with your prospective patients on your website, social media, and other chiropractic marketing efforts? Social media is becoming more and more about authenticity. With the sea of businesses constantly marketing online, consumers have become numb to run-of-the-mill posts and offers. Look to be authentic and offer real-time, engaging updates. Share the culture of your team with prospective patients and tell your practice’s story to easily stand out online. Prospective patients are more likely to like, share and comment on content that is relevant to them. And remember: they want exact answers to their questions that don’t require guesswork. Focus on these micro-moments by personalizing your practice’s content based on your perfect patient. To go through an exercise on how to identify your perfect patient, check out this infographic we made on the topic. Once you know exactly who you are talking to on social media, then you can prepare content that shows how your practice uniquely solves their pain points. Videos are all over our Facebook newsfeeds for a reason. Facebook’s algorithm pushes live videos to the top to increase viewership. 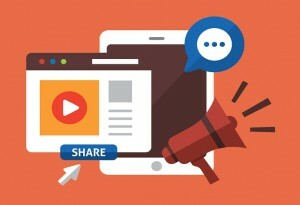 In fact, 90% of all social media shares are videos. Some marketers speculate that in the near future all of the content we consume will be in video-form. Jump into this medium now to get ahead of the curve. Keep it engaging: Don’t just do video for the sake of video – have a plan and a story to share. Instagram: Film in portrait mode and keep it very short – There’s even a countdown clock for how long the video can be. Facebook Posts: Film in landscape mode and add captions in case people don’t want to turn the sound on. Facebook has an auto-caption feature that is usually pretty accurate. Facebook Live: Film in either landscape or portrait mode but keep in mind the video will always be shown as a square on Facebook. Introduce yourself in the beginning to give people some time to join in. Keep in mind your perfect patient and practice story mentioned above and write out a few ideas for video content to post. Share company events, testimonials, “behind the scenes” clips, and quick news updates – these are just a few of the topic possibilities. Prospective patients want to get to know you and your practice so go ahead and introduce yourself! In 2018, there are a lot of new marketing trends to keep an eye on and integrate into your practice’s online strategy. Keep the overwhelm down by leveraging automation. List out 3-5 topics you want to post about on social media. For example: behind-the-scenes at the practice, general wellness tips, chiropractic information, special promos, and services offered. Write out several posts under each topic in an Excel or Word doc. Create a column for the text of the post and a column for “Media” to document your ideas on how you want to share this post. Will it be with a picture, a video, a link to an article or page on your website, or just text? Schedule what topics you want to post on what day. Create an account with a scheduling tool like Buffer, Hootsuite or Edgar. Most of these are free or offer basic plans for free. Upload your posts into the scheduler. 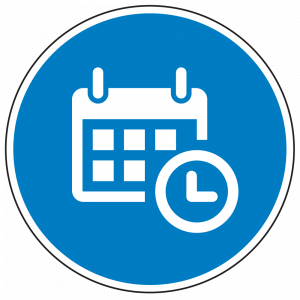 Using your spreadsheet, upload your posts with their media type (unless it’s a live video, of course) and schedule them according to your calendar. Set reminders in your personal calendar for when you want to do a live video. You’re all set! Repeat these steps as necessary to fill up your calendar as the posts go out to your audience. In tools like Buffer and Edgar, you can easily re-use some of your older content that wasn’t seen by too many people. By automating your social media marketing in 2018, you’ll be able to connect with prospective patients on a daily basis with minimal daily effort. Social media marketing is not going anywhere in 2018. Not only that but it’s growing and evolving beyond simply posting an offer and watching the results roll in. Maximize the potential of social media marketing for your practice by using a few of the tactics mentioned in this post and make the effort to share your story and engage with your audience in an authentic way in 2018. If you’re still not on Facebook yet, then now is definitely the time to get started. 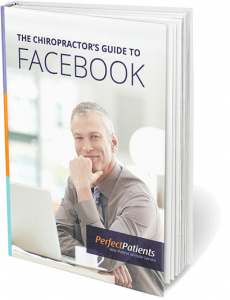 Click here to download our free eBook, The Chiropractor’s Guide to Facebook, to get your social media marketing ready for 2018.